On Monday December 5th, at 11:16 PM, Vicki posted a dog that she wanted to rescue. I was in bed! Our TDL team went into action, and it was quite remarkable. We didn’t know this shelter, their protocols, or the true status of this dog, yet there was something about him that made everyone excited. The post indicated that he was scheduled for euthanasia on December 6th, at 8:30 AM. 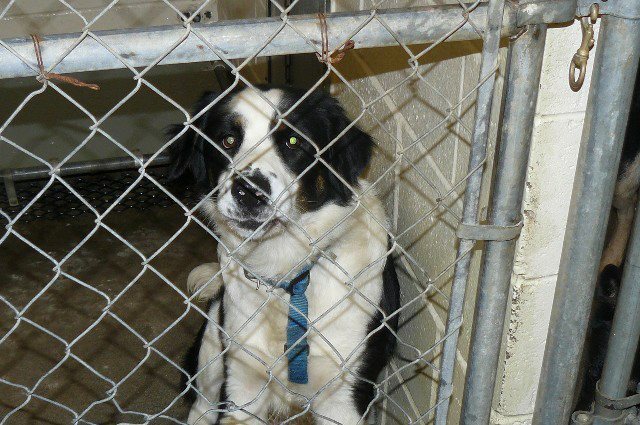 Can you rescue a dog overnight? I think the answer is yes! Last night was one of those nights. One of those nights in rescue when furry faces are pleading with you from your computer. My heart was aching, stomach churning, fingers typing furiously trying to find rescue for some dogs in a High Kill Shelter in Georgia that were slated to be pts this morning. Rescue volunteers working together for the sake of these furbabies. One in particular stood out to me. His picture wasn’t a good one, but you could still see the confusion in his eyes. It was 3:00 AM. and I need to sleep. I took one last look at this boy, referred to as #116043, and hoped someone would save him. This shelter doesn’t hold dogs, you have to be there by 8:30 AM. If you are not there, once the vet arrives, it’s over. Maria the Marvelous, is a volunteer rescue coordinator for this shelter. She was still up after 3:00 AM and was messaging me and others. She had worked tirelessly to get as many dogs out as possible. She said to call her in the morning. I was going to pick up a dog from the vet for her that was near me, she was going to get #116043 for me and we were to meet and swap. When I called her, I woke her up. She was upset,she had overslept, and had little time to get to the shelter to help rescues get dogs out. I had never talked to her before, but I guess it was meant to be that I woke her up. The result was that 20 dogs were saved! I knew then I had to go, no time, leave nothing to chance….. I was racing against time with heavy morning traffic, rain, and the fear I wouldn’t make it. Yelling at my GPS which had sent me round and round the long way, wishing I knew the roads better. Maria called me and informed me that the shelter knew I was on my way, but there are no guarantees. I was almost there, when Maria called again and said she was leaving the shelter, the vet was there to do her job. Maria had to leave, but promised to come back to beg for #116043. I was slowing to a red-light when I got Maria’s call, I was one block away…..as her words rang in my ear, my foot stepped on the gas. I ran the light just as it turned, but I couldn’t take the chance, the chance that one red-light would make me too late. When I arrived, the office was silent. The staff looked at me and said they were sorry but it was too late. Well, anyone that knows me knows that I have never taken no for an answer. An animal control officer was standing at the door to the kennels, I could see the anguish on his face. I begged, showed him my info, and pleaded nicely. I could tell by the look on his face that he thought #116043 was already gone. But all of a sudden he said “I’ll try”, and he rushed through the door to the back of the shelter, where he was not allowed to enter while the vet was putting dogs down. I am moved to tears! What a sweet dog he is! The work you do is amazing! THANK YOU! Welcome to TDL, Huckleberry!! Merry Christmas!! Can’t wait to meet you Mr. Huckleberry! I am still brought to tears every time I think of that morning….I can’t wait for Huckleberry to find his family and start a new life! Please, please, please get in touch with me about Huckleberry!!! I have been a fan of TDL for about a year now and have been waiting, sometimes holding myself back, for that “ahhh….just right” feeling. E-mail me, call me (561) 346-1580. Tonight, if possible. I understand that he is heartworm positive and am ready, willing and able to treat him for it. My kids and I have got a rescue frame of mind. Horses, dogs and cats. We have them all at home. We even have chickens, goats and mini potbelly pigs. References are readily available! Has he already been adopted? If so, yall should take him off petfinder.com because I already fell in love with him! If not, please please let me know I’ve been looking for a new friend! This dog is so wonderful, he immediately caught my eye. Sadly, our condo assn. only let’s us have our one dog who we have to keep quiet due to her recent diagnosis of COPD. We sure hope Hucleberry is in the arms of his adpted parent(s) soon! Hope Huckleberry has a long and happy life now. Dawn the foster carer must have been so loving to him. I expect it is very hard to hand a foster dog back after you have loved and cared for it. Great work Dawn.